One of the most profound consequences of the 2008 financial crisis has been the ubiquity of fiscal austerity, and in turn, the ascendant belief in a new normal of resource scarcity. When the initial counter-cyclical responses to the crisis were not fully successful at building a shared recovery, the narrative of an overextended and unaffordable government took root. The result: a series of austerity measures in the majority of governments worldwide, particularly in the Global South, followed by the rise of right-wing neoliberal nationalism. Yet the fissures in the narratives of resource scarcity are already showing. 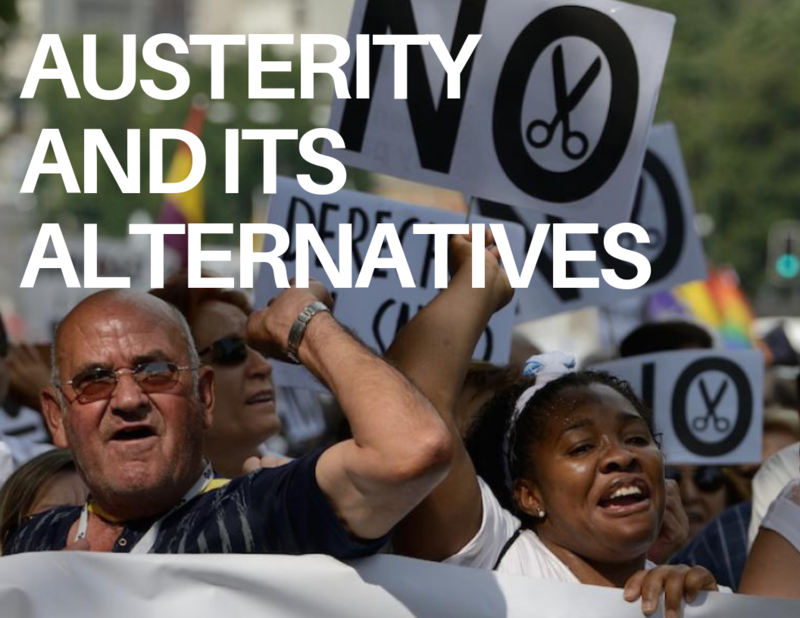 Austerity has not met its own goals of resurrecting shared economic growth and restoring decent work conditions. Consequently, the growing economic, gender and social inequalities due to fiscal adjustment are invoking outrage and whole new constituencies for change. Spreading right-wing nationalism poses enormous threats if not countered, but also opens a space to question former certitudes about neoliberal economic policy and the benefits of globalization. And the almost-daily exposés of tax abuse by multinational companies and high-net wealth individuals fundamentally contradicts the idea that public resources are scarce. The overall goal of this project is to defend the human rights at risk from austerity, and to advance economic policies and fiscal alternatives that are sustainable, equitable and accountable. We are mapping best practices in tax policy, resource mobilization and alternative development models, weaving together comparative research, advocacy and tools to change the narrative that says the smothering of the state and the downsizing of democracy are inescapable outcomes of the 2008 global economic crisis. Through a combination of innovative scholarship, strategic advocacy and cohesive coalition-building, we aim to replace these myths with a new narrative and policy agenda that reintroduces human rights, women’s rights, democracy, and the public good to the heart of public finance. Spain’s new government ends the exclusion of undocumented migrants from health care, an austerity measure adopted by the former government. The challenges facing human rights are not the death knell for the movement, but a wake up call for a more holistic approach. Setting out a methodological framework for assessing and addressing the human rights impacts of fiscal consolidation. Press release: CESR and partners present new empirical findings on austerity’s severe impact on food security, health and education in Brazil. UN submission: A coalition of civil society organizations has called on CEDAW to examine the extra-territorial impacts of Switzerland’s financial legislation on women’s rights. Inequality: can human rights make a difference? CESR guest-edits a openGlobalRights debate exploring the intersection of extreme economic inequality and human rights. In late October, the Inter-American Commission on Human Rights (IACHR) held its first thematic hearing on fiscal policy and human rights.